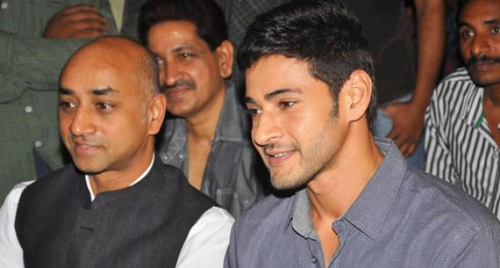 Hyderabad, July 20 (IANS) TDP MP Galla Jayadev, who initiated the debate on the no trust motion in the Lok Sabha on Friday, mentioned Telugu blockbuster "Bharat Ane Nenu" of his brother-in-law and popular actor Mahesh Babu. The industrialist-politician kicked off the debate with the mention of the movie to stress the point before Prime Minister Narendra Modi's government that "promises should be kept". "The latest Telugu blockbuster 'Bharat Ane Nenu' which means 'I Bharat' is a story about an young NRI who returns to India after his father, who is a Chief Minister, dies suddenly. "Bharat enters politics reluctantly and becomes a young, dynamic and beloved Chief Minister," said the Guntur MP. "The recurring theme in this movie is about trust and his mother's advice Bharat keeps recalling. A promise is a promise. If a man makes a promise and does not keep it, he does not have the right to call himself a man. "It was a blockbuster because the general mood of people reflects well in this film. People are tired of empty assurances and unfulfilled commitments," he said. His mention of Mahesh Babu's movie triggered varied reaction on social media. Some remarked that he is trying to promote his brother-in-law's movie while others commented that this goes on to show how politics and films are deeply intertwined, especially in Andhra Pradesh.